Sometimes as a reader it's necessary for you to challenge yourself with something you wouldn't normally read. For me, the Last One is a very different novel to anything I would usually read. And whilst I'm not entirely sure I'd read something like this again, I am glad I gave it a go. Twelve contestants on a reality TV show are sent 'into the words' (which is also the show's title that has been sold to them as contestants, in reality the producers are going to go with something more sinister..) without a great deal of knowledge about what might happen to them. 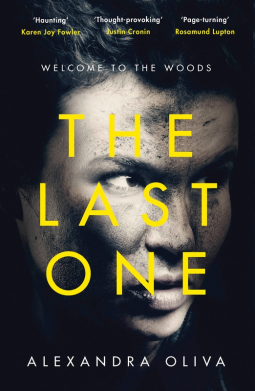 The Last One is the ultimate survival story, but a highly original one, and although not for me personally, I'm pretty sure that this novel will have lots of fans. The Last One is available from 14 July 2016.